1. This product is Clinically used for disseminated sclerosis, porphyria, itching, liver disease, varicose ulcer complications. The eye drops containing mainly AMP can be used for the corneal surface diseases of asthenopia,central retinitis, pannus and herpes. 2. This product can be used as nutrition enhancer. It can be added to the milk to increase the amount of nucleotides ,make them closer to human milk ingredients ,so as to enhance infant’s resistance against bacterial diseases. 3. This product can be used as biochemical reagent and intermediate for the production nucleotide drugs. 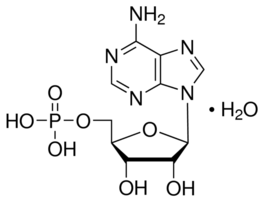 And it can be used for the production of Vidarabine,ATP,cAMP, coenzyme A, coenzyme I, etc..